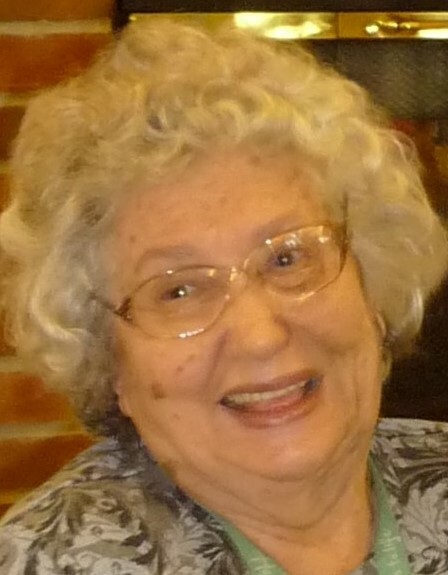 GINA BOROWY (nee Marchioro), age 91; born in Camaiore, Italy, province of Lucca and came to the United States as a WWII war bride; beloved wife of the late Edward J.; devoted mother of Ralph Ryan (Mary), and the following deceased: Maria, Edward (Linda) and Daniel; cherished grandmother of nine and great grandmother of six; dear sister of Gilda, and the following deceased: Alba, Francesca and Giovanna, Adelena and Maria; dear aunt and great aunt. Gina retired from the Garfield Heights City Schools; she loved to garden, cook, crochet and play cards. The family wishes to thank Elmcroft of Sagamore Hills assisted living for their excellent care and compassion. Friends may call at GOLUBSKI DELIBERATO FUNERAL HOME 4747 TURNEY RD. CORNER of GARFIELD BLVD. FOR VISITATION TUESDAY, NOVEMBER 27, FROM 4-8PM. Prayers will be held at the funeral home Wednesday, November 28, 2018 at 9:30am, followed by a Mass of Christian Burial at Saints Peter and Paul Church at 10:00am. Interment Calvary Cemetery. Online condolences may be submitted at www.GDFH.net.